Our Wake Forest Dijon group just spent three days in the Val de Loire, five days in Paris and two days studying Impressionism art. Following is my adventure in Paris! Saturday, September 15th, we arrived in PARIS! To start off the evening we went for a romantic (with our whole Wake Forest class) ride on a bateau mouche on the Seine for an over look at the city we would be staying in for the next week. The best part of the evening was getting to see the Eiffel Tower twinkle at 11pm. It was so beautiful, and I forgot how beautiful it was since my first time in Paris, in 2014 for my 16th birthday. My friend sitting next to me on the bateau mouche had never been to Paris before, and it was his first time he saw the wonder of the Eiffel Tower and he may or may not have teared up. It was a beautiful night and it was the best way to start off our trip in Paris. The list was long, but it forced my friends and I to explore all the parts of Paris. We walked about 10 miles a day, no joke, lost a lot of weight, but ate great food, drank great wine and was surrounded by wonderful company. We stayed in les Hôtel de 3 Collèges, in the Latin Quartier, the 5th arrondissement, right next to the Sorbonne, the University of Paris. We were in the college section of the city, and it was so fun! For our first full day in Paris, we decided to check off all the activities in the fifth arrondissement. We started at the Musée Cluny, which is a Middle Ages museum. It is a very tiny museum and I wouldn’t recommend going unless you have to go, like for me and our class. The museum did have the famous five unicorn tapestries that represent the five senses from the Middle Ages, which was really cool, but that was really the only thing there. After La Sorbonne, we had lunch in the Luxembourg gardens which face the Luxembourg palace, which is now a museum. Beautiful gardens, with so many people just sitting and basking in the sun. We consumed some nice vitamin D, before heading to the Pantheon. It used to be a church and now it is a national monument with famous writers buried there like Victor Hugo, Voltaire and Rosseau. We had a fun first day in Paris, until the evening. A friend got food poisoning from the Moroccan restaurant we went to the night before, and another friend heard some sad news from back home. We stayed in for the evening and brought in take out. Rough night, but Monday was way better. Monday morning, we started off bright and early at Notre Dame cathedral. As professionals in architecture now, I’m sure you are bored reading about it, we observed Notre Dame with its gothic and gothic flamboyant architecture. After seeing the beautiful cathedral, we made our way to the INFAMOUS Louvre. We discovered that you could literally spend 3 months in the museum, day and night and not see everything... this museum is MASSIVE and way too crowded. The Mona Lisa is one of the fan favorites in this museum, as well as all the beautiful paintings by J. Clouet, Nicolas Poussin, Claude Lorraine, Gericault, Ingres, Jacques Louis Davide and Delacroix. My favorite painting is by Delacroix and it is the lady liberty of France leading the men in the revolution. It is a beautiful painting. The statue of Victoire is another beautiful statue that I got the pleasure of seeing because the first time I went to the Louvre, 6 years ago, it was not in the museum. The Louvre is definitely a museum you have to visit if you’re going to Paris, but definitely not my favorite museum. We spent hours in the Louvre, but not hours waiting on line to get into the Louvre, thanks to the Museum Pass, 10/10 would 100% recommend. For one price, you can get access to all the museums and monuments in Paris for a set number of days. We had the four-day pass and it was the BEST THING EVER! 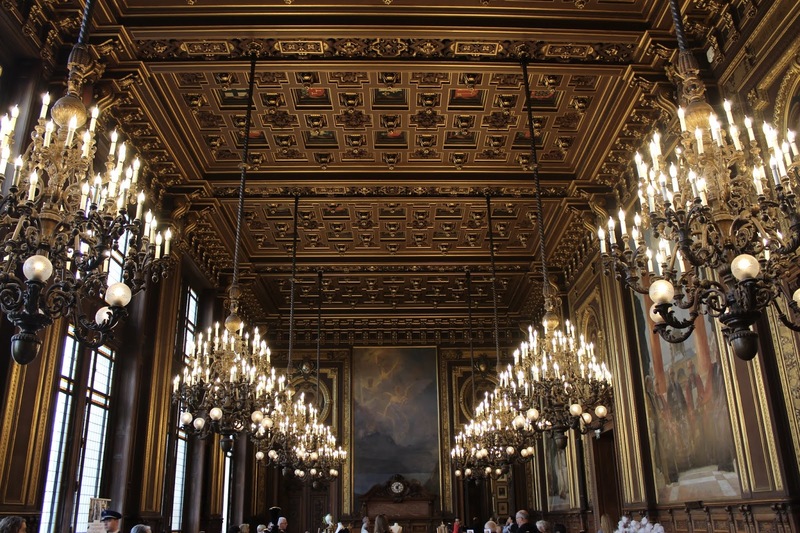 For four days, unlimited access into any museum or monument in Paris was only 62 Euros. We never waited on line to get into any museum or monument! So worth the money! Also buying an unlimited bus/metro pass is totally worth the money too! The next stop on our list was the Tuileries gardens which are right in front of the Louvre. They are so pretty and such a delight to walk through during your day. After a little stroll we headed to the Eiffel Tower!! We had already walked 10 miles this day, no joke, and didn’t think 3 more miles could hurt us. Well it did. By the end of the day we were exhausted, but we got to see and experience so much! The problem with the Eiffel Tower is that you can see it from miles and miles away, but it’s an optical illusion because it’s actually sooooo far away. We thought we could walk to it from the Louvre, but we were so mistaken. 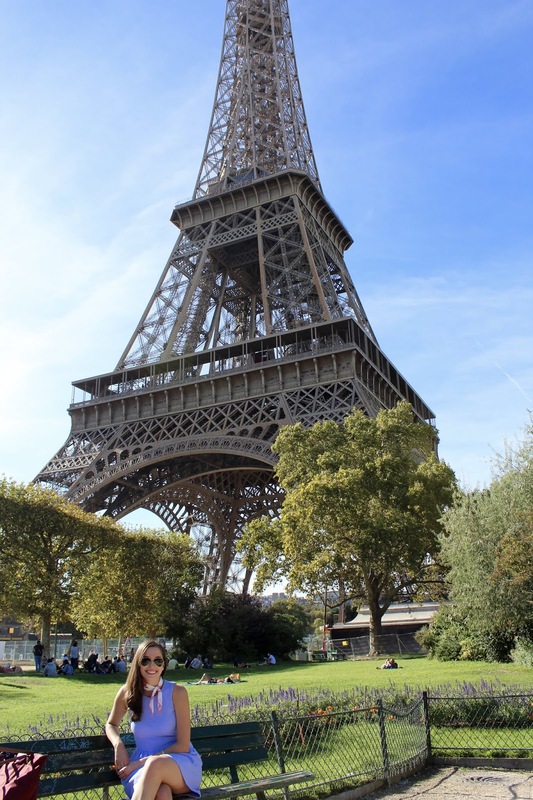 We hopped on a bus which took us to an overlook spot of the Eiffel Tower, but there were ugly cranes in the way of a beautiful photo, so we decided to walk to the grass (or dirt) right under the Eiffel Tower for some pictures. Way better decision and we took some really pretty pics!! Definitely some of my favorite from the trip. We then decided to walk AGAIN to go to see the Invalides, another building we had to visit on our list. It is a government building that Napoleon is buried in. It is nothing really too exciting to see and at this point we were all so exhausted that we didn’t really care to explore it much more. We took the bus home after our long day and had dinner in the Latin Quartier. Tuesday morning, we started our day at Prêt-A-Manger, because the breakfast at the hotel was horrendous, and after that made our way to Sainte Chapelle. I had never been before and was interested to see and hear what all the hype was about. There was a long security line, so I was intrigued. Well it turns out, this chapel was BEAUTIFUL. Tiny, built by King Louis in the 13th century, this chapel was constructed in the gothic style with the most amazing stained-glass windows I had ever seen. They were phenomenal. The Sainte Chapelle is actually in the middle of the Palais of Justice, where a lot of government offices are held, so that was pretty cool too. I would recommend seeing Sainte Chapelle if you have extra time in Paris! After Sainte Chapel we hopped on the metro and went to the Arc de Triomphe! I had never actually been that close to the Arc de Triomphe. 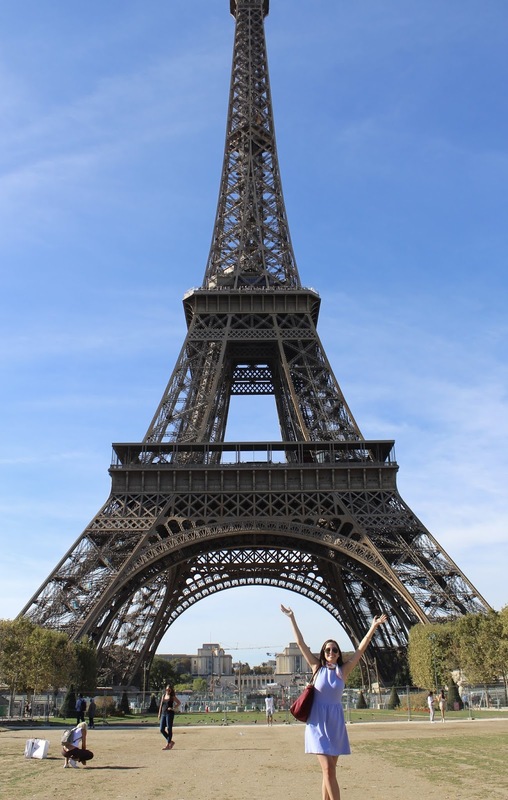 The first time we went to Paris, we had very limited time and we didn’t think it was worth seeing. We passed it on a double decker bus tour but that was all. So, I was excited to get to see it up close and personal AND even get to climb to the top of it. After climbing the 280 steps up and 280 more steps down, but cutting the line with Museum Pass, we spent the rest of the day shopping and walking along the famous Champs Élysée. We stopped into Louis Vuitton, the amazing Abercrombie store and had a snack at Ladurée. Tuesday night for dinner, my friends and I climbed to the top of le Sacre Coeur, in Montmartre. We got a beautiful panoramic view of Paris and a beautiful view of the church at night. Not the safest of areas at night, but definitely worth the amazing view during the day or at night! We went to this fabulous restaurant next to le Sacre Coeur where there was a jazz singer! It was AMAZING! Wednesday, we only had a couple more things to see on our list, so we headed over to the 4th arrondissement to knock off all of those things. We started at the Centre Pompidou which is a modern and contemporary art museum. I am not a huge fan of modern art; it is a little too out of the box for me, but it will still nice to experience. The building itself is so cool! It totally doesn’t fit with the classic architecture of Paris. This building actually looked like it was still under construction / a part of a hamster cage. Let me digress- the escalators are on the outside of building in tubes, resembling tubes that hamsters run around in. Weird, but accurate. My friends, Kate and Victoria, are very into modern art, so with their help I appreciated and understood modern art a bit more. I learned about Kandinsky and that his artwork represents how one feels when one listens to music. It was very interesting. The artist Dada also resonated with me because he redefined art after WWI and showed that art is anything. After our exploration of Centre Pompidou, surprise, my mom and sister met us for lunch! 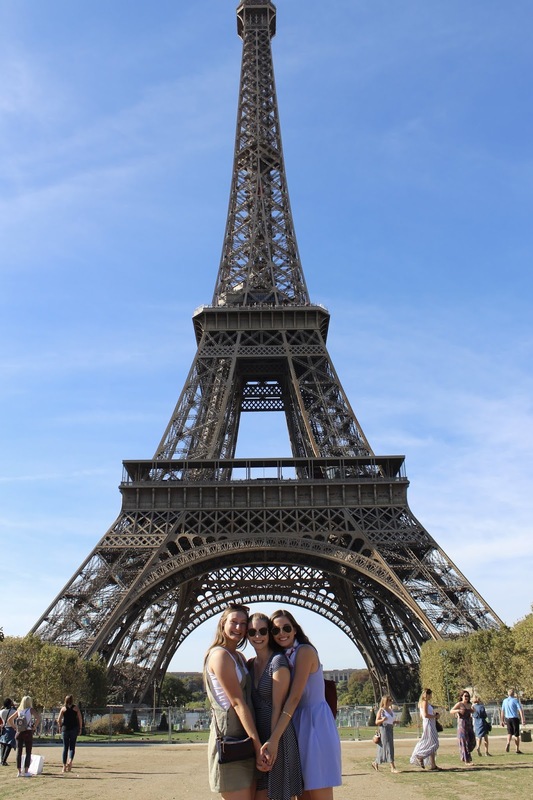 My sister and mom, my two besties, flew out Wednesday night from New York to spend four days in France with me! It’s been a month since I left the states, so it was really nice to see them! My best friends abroad got to meet them and see that my mom, sister and I are so similar. My friends think I am over the top a lot of the time, which I won’t deny, but after meeting my family, they now understand why I am the way I am. My mom, sissy and I spent some quality time together and went into Notre Dame Cathedral after eating some rolled ice cream and macaroons. They were exhausted, so they crashed early, and I went to the theater with my Wake Forest group. We saw the Bald Soprano, a play that I read in high school in my theater class. It is a play of absurdity. It was silly and fun. Something different. What was even funnier was that when our professor told us we were going to the theater, our whole group got all dolled up. I wore heels, a dress and all the guys wore button downs with slacks. We all looked so nice, but this was no Broadway theater. It was rather a miniscule black box with no air conditioning. Thursday afternoon I met up with my mom and sister at the Luxembourg Gardens for a little walk. They had both never been to the Latin Quartier, so it was fun showing them around! In the afternoon we went to the Pantheon before heading to Atelier Lumiere for the Klimt show. It was AMAZING OMG! It was an art exhibit with Klimt’s art projected all over the warehouse space. His art was on the floor, the ceiling and all the walls. The music matched the art display perfectly and it was a really amazing experience. After the art show, my sister, mom and I went back to their very nice hotel right near the Champs-Élysée and had dinner by them. At 11pm, we walked over the Eiffel Tower to watch it sparkle! It was magical as always! Our last day in Paris was spent at the Musée d’Orsay, the famous train station turned into museum with all the impressionist art. Our tour of the Musée d’Orsay started our Art History class with a new professor from the University of Burgundy. We learned all about Impressionist art and how that the Impressionists are not part of a school or a group, but rather they are a movement. We saw all the famous paintings by Degas, Manet, Monet, Sisley, Renoir, Pissarro, and Cézanne. A quick summary of all the painters: Monet loved nature, Van Gogh painted abstract nature with bright colors, Manet did portraits, Renoir painted happy life and people dancing at parties, Degas painted dancers, and Pissarro made paintings similar to Monet. I love the colors and how romantic all the paintings feel. After a short stay in d’Orsay, I met up with my mom and sister and said goodbye to them, as our Wake Forest group was going to visit Auvers sur Oise and Giverny. A very short visit but a very sweet one. After Paris we stopped at Auvers sur Oise first and visited the house that Van Gogh, post-impressionist painter, stayed and painted in. We also visited his grave. That night we stayed in La Villa de l’Ecluse on L’Isle Adam. It was a very pretty hotel, in the middle of nowhere! The following morning, we went to the Chateau d’Auvers sur Oise. It is impressionist museum without any actual art. Each room we went into has a video about a certain artist or type of artwork. It was a snooze fest, and I would not recommend. The same day we went to Giverny, the house and gardens of Claude Monet. It was beautiful even in the rain. I loved being outside and seeing all the beautiful flowers. Monet is probably my favorite Impressionist artist. Before returning to Dijon, we went on a little Impressionism tour and saw some spots where Renoir and Sisley painted on the I’Île des Impressionists. I had the most amazing trip to Paris. It was our last trip as a big Wake Forest group until Thanksgiving. We traveled for a month straight, and as exhausted as I am, I would not change it for the world! This past month was amazing. I saw so many parts of France that I would have never seen without this program. I learned so much about the French culture and language. I became wiser in more ways than I can describe. I will be forever grateful for this amazing Wake Forest Dijon program. Today, we started classes at the University of Burgundy for the next three months, before returning home to the states! I am so glad that our last group trip was a huge success and I can’t wait for more exploration and growth over the next couple of months!